As I am starting a new SAP Business One implementation, I am reminded (and am coaching the project team) of the importance of setting S.M.A.R.T. goals. When faced with something as potentially daunting as implementing a new ERP system, it is easy to set lofty, generic goals that are impossible to manage. However, using S.M.A.R.T. goals will allow the project manager and the team members to continuously monitor and tweak their activities to ensure that focus remains on what is really important to the success of the project. Specific – having the goals be specific will assist in the prioritization and assignment of tasks to ensure the most important things get done first. Measurable – having the goals be measurable will facilitate accurate reporting to senior management on the status of the project. Attainable – having realistic, attainable goals will ensure that team members are engaged and feel a sense of achievement as they complete them. 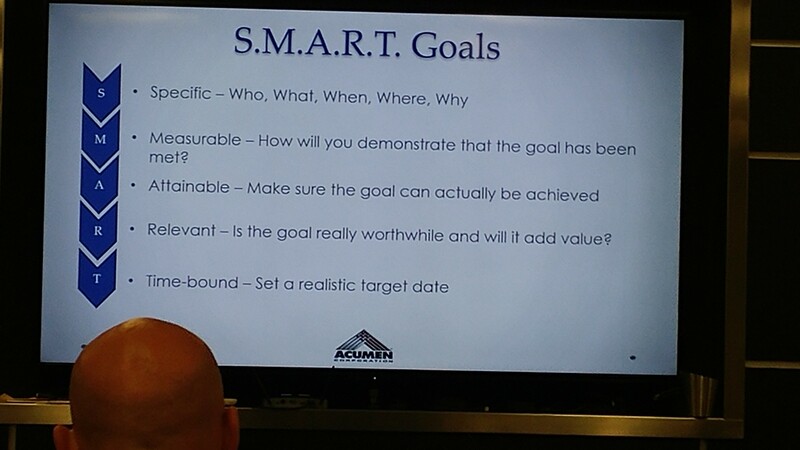 Relevant – having the goals be relevant will ensure that team members remain focused on what is important to their role and success in the project. Time-bound – having the goals be time-bound will assist in managing resource time – they know when something is due to be completed and there is no ambiguity. Remember, an ERP implementation is not a sprint but a marathon. Just like a runner checking their watch often, the project manager needs to monitor the status of the project continuously to ensure success – and S.M.A.R.T. goals are a fantastic tool to aid in that process.